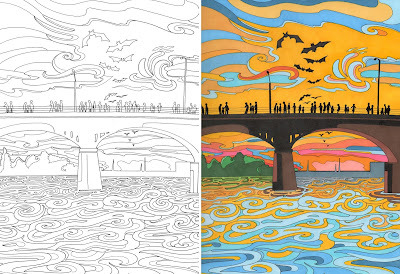 Illustrator Extraordinaire with a Knack for Highlighting Hot Spots in her Hometown. 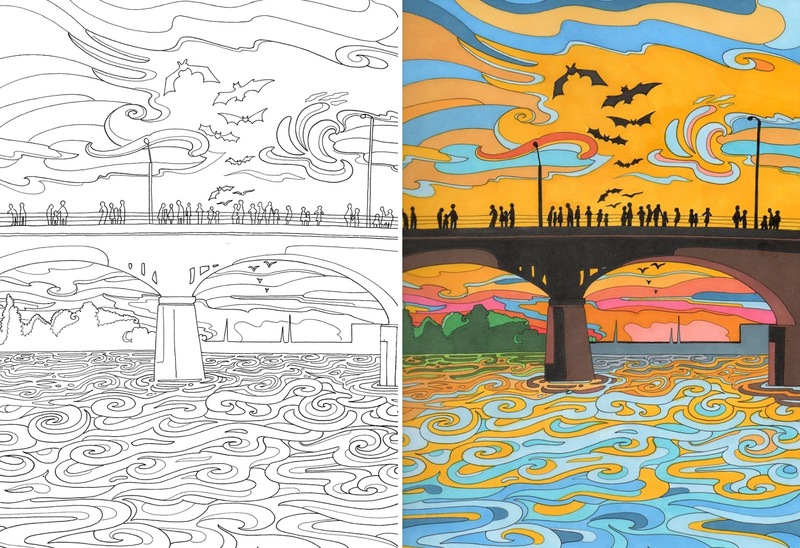 Colorful Drawings & Coloring Book Pages with Playful Scenes of Animals & Austin. Call me biased, but my favorite subject matter for artists to explore and make their own is the local landmarks and culture here in Austin. 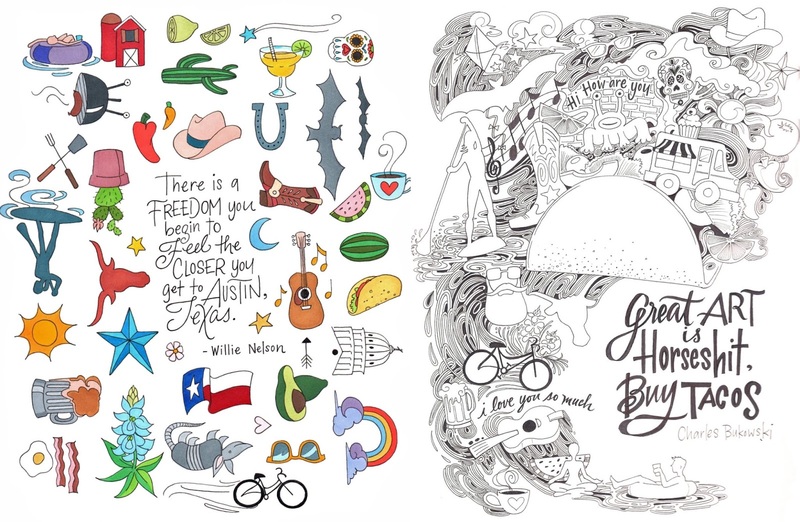 From history-filled architecture to widely popularized events to breathtaking, Texas-sized views, these themes lend themselves well to anything from documentary photography to more playful illustration, like that of Becca Borrelli. 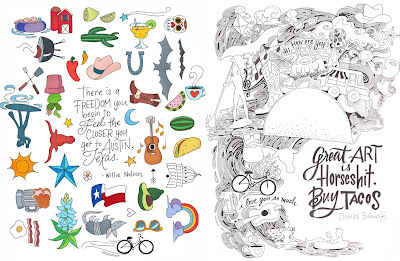 Her style is wonderfully colorful and full of whimsy as she captures the essence of Austin and surrounding areas. I am enthralled by how she represents our best known buildings and outdoors scenes, keeping the recognizable elements, but then adding her own bits of whimsy. You can almost see her hand dancing across the page as she creates swirling clouds or water depending on the scene. I feel the movement and perceive such joyous energy in her work. Some pieces also include inspiring quotes, that further conveying Becca's positive, hopeful outlook. 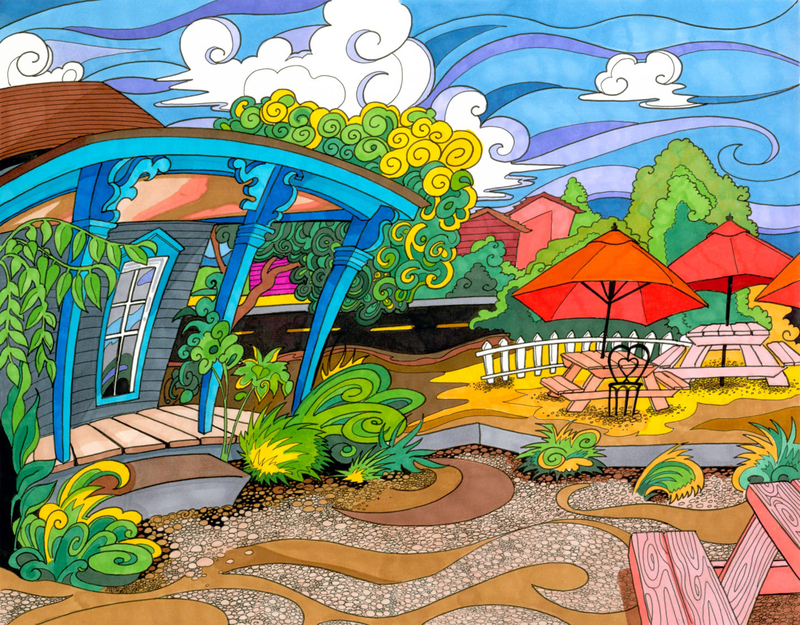 As an artist and an art teacher at the Contemporary (what I will always know as Laguna Gloria), she is actively fostering our community and helping highlight what makes us great! From the bats under the Congress bridge to the music lover packed ACL to lazy days floating the river! Becca offers prints of her drawings in full color as well as a couple coloring books for you to join in the whimsy. Austinite to the core and art lover for life, I'm a big fan. 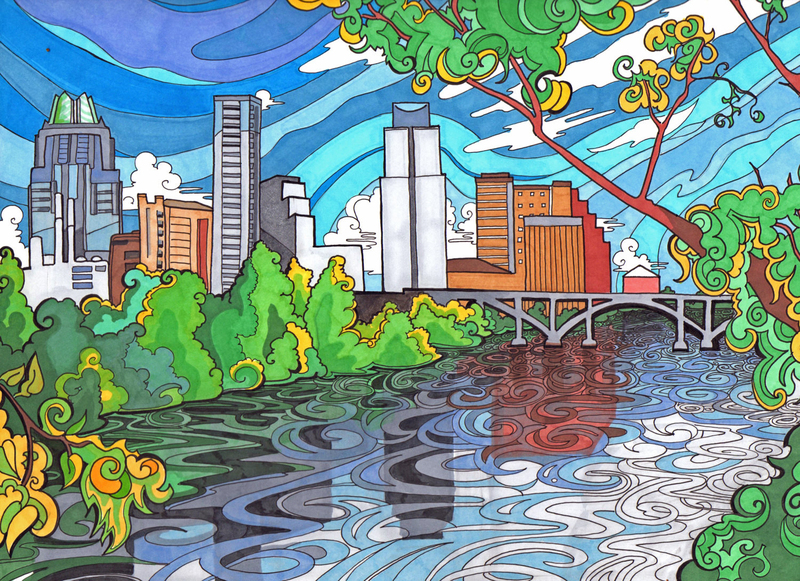 I enjoy Austin as it is in real life, but how amazing would it be to get lost in one of Becca's drawings as she depicts our great city? !